Manifesting becomes effortless when you have a clear intention that resonates in every cell of your body. This week allow yourself to remember why it is that you desire a soulmate. As you ponder these questions allow yourself to have an experience of present moment awareness and really imagine yourself with these questions answered. Use this moment to feel what it feels like to be sharing your life, right now, with your soulmate. Make this a daily practice. 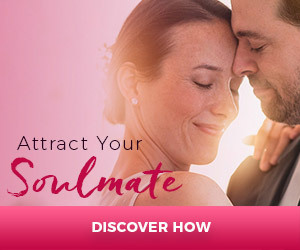 I can’t emphasize how important it is to make your soulmate attraction plan a DAILY PRACTICE. As you continue to focus your intention and attention on your heart’s desire, knowing that what you’ve asked for is ALREADY yours, you magnetize it to you.